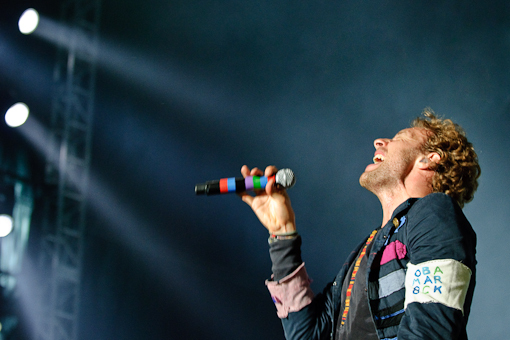 Coldplay, Richard Ashcroft (from the Verve), Two Door Cinema Club, The Kooks, Graffiti 6, The Pains of Being Pure at Heart & more to be announced! The tri-state finally has its Rock Music Festival! Two stages, one day: September 18th at PNC Bank Arts Center. The Live Nation Mobile App presale for the TakLiberty Festival is running today (Jun 23) from 10AM – 10PM. The WRXP presale also continues until 10PM today (Jun 23), the presale password is 1019RXP. Tickets for the general public will go on sale at 10AM on Friday, June 24. More Coldplay tour dates and a video for the new single “Every Teardrop Is A Waterfall” from their forthcoming album after the jump.